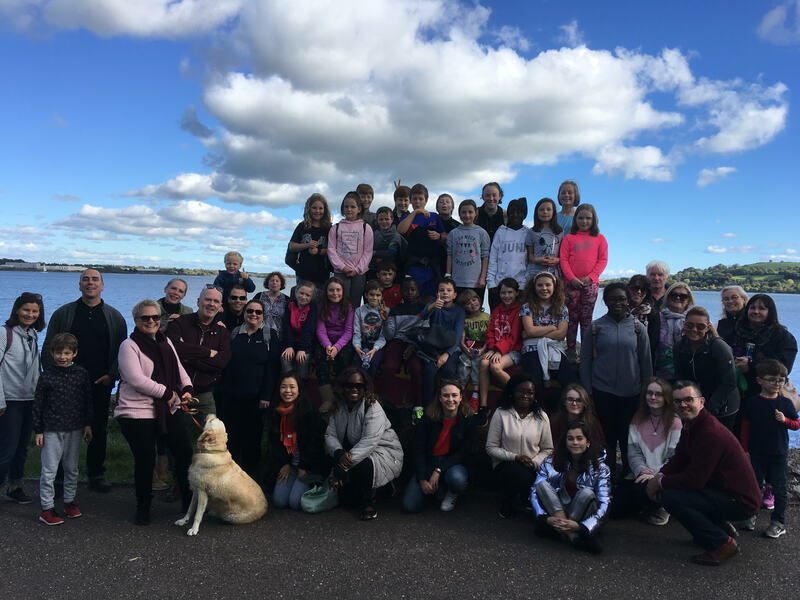 The choristers of St Fin Barre’s Cathedral Choir, Cork, together with their families embarked on an 8km walk around Mahon Point and Blackrock Village in Cork last Saturday, 6th October. The weather could not have been better and this drew some extra supporters who came out for a walk in the sun at the last moment. Almost 60 people met at Mahon Point Shopping Centre and headed towards Blackrock Castle on the riverside walkway with many people remarking that they had never walked on this route before. After passing the Castle the next stop was The Natural Foods Bakery in Blackrock Village where a drink was picked up and a well earned piece of cake. The break was limited though as the final destination was still someway down the old railway line back to Mahon Point. There were several tired faces in the choir stalls on the following Sunday morning after an invigorating afternoon of exercise. St Fin Barre’s Cathedral Choristers, their families and friends on the sponsored walk. This entry was posted in Cathedral, Cathedral Choir, Children's Work, Church Music, Cork, Fund-Raising, Youth Work. Bookmark the permalink.